A fixed term lease has a specific end date when a tenant is required to be out of the property and hand back the keys. The tenant and owner can agree in writing to extend or renew the lease at any time prior to the end of the lease. If the owner wishes to extend the lease but increase the rent, see Increases in rent .The owner requesting the tenant to leave early might be helped by the owner helping the tenant with moving costs or reducing rent until they leave. If the owner does not wish to extend or renew the lease, they must serve the tenant with a Notice to vacate at least 42 days (but note more than 60 days) before the end date. If a lease is not renewed/extended, and no notice to vacate has been served, and the tenant stays at the property, the lease will turn into a non-fixed-term lease. If the owner has given a tenant a notice to vacate but not 42 days before the end of the lease, the tenant can stay at the property until 42 days after the notice was served (but will still have to pay rent for this time). If they leave after the end of the lease, but before 42 days after the notice was given, they only have to pay rent until the date they leave. the notice to vacate is because the property is due to be sold by a lending institution (eg a bank) in order to recover money owed by the owner (in which case at least 60 days’ notice must be given to the tenant). If a notice to vacate is not issued, and the lease is not terminated in any way nor extended/renewed, and the tenant continues to live at the property beyond the end date and pay rent, the lease automatically becomes a ‘non-fixed-term lease’. If an owner wishes to end a lease, they must serve the tenant with a ‘notice to vacate’, requesting the tenant to move out and hand back the keys by a certain date. A notice to vacate is not needed where the tenant has abandoned the property or where a magistrate has issued an order of termination. the tenant has caused a ‘substantial nuisance’. a notice to vacate can be given if the property is sold by a lending institution (eg a bank) to recover money owed by the owner. This notice must provide at least 60 days’ prior to the date the tenant is to leave. If the wrong number of days’ notice is given, the tenant will only have to vacate the day after they would have had to leave had the notice period been correct. If the lease end date is before the end of the 42 days’ notice: the tenant does not have to leave until the 42 days is up (but still pay rent). If they leave after the lease end date but before the 42 days’ notice, they only have to pay rent until the date they leave. If you are unsure about serving a notice to vacate, contact Rental Services.  If you have received a notice to vacate and are unsure about whether or when you have to leave the property, contact the Tenants’ Union of Tasmania or Rental Services. the date on which the notice takes effect (that is, the day the tenant is to ‘deliver vacant possession’, or hand the keys back). See Example Notice to Vacate. A notice to vacate must give at least 14, 42 or 60 ‘clear days’ notice. This means that the day you serve the notice and the day the tenant is to be moved out and return the keys do not count – you must have 14, 42 or 60 days in between these two events. The days in between include weekends and public holidays; but the notice cannot take effect on a public holiday. If the date of effect written on the notice is a public holiday, the actual date of effect will not be until the following day. Similarly, you cannot serve a notice on a public holiday. If you do, the time does not start until the next non-public holiday day. If you miscalculate the number of days, the notice is still valid, it just won’t take effect until the day after it would have taken effect had you given the correct number of days’ notice. A notice can be served by giving it to a person, leaving at their last address, or by using a process server to deliver it to their last known living or postal address or to their business or place of employment. If you believe that a dispute is likely to result from service of this notice, it is recommended that a witness be present who can vouch for you serving the notice in one of the above ways. If a notice is given because the tenant is behind in their rent, the notice is of no effect if the tenant pays all the arrears in rent before the 14 days have passed. This is the case for the first two times in a 12 month period that a notice to vacate is given for this reason. The third time a notice to vacate is given for rental arrears in a 12 month block, it will not matter if the tenant pays all the rent due – they will still have to leave. If a notice to vacate is served and the tenant does not leave, the owner must apply for an order to vacate from the Magistrates Court. If this happens, the owner must deliver a copy of the application to the tenant as soon as possible after they have lodged their application with the Magistrate Court. If the application is not made within 28 days of the notice taking effect, then the notice lapses. This means that the owner must serve another notice to vacate before they can then apply to the Magistrates Court. whether the tenant was served with a copy of the application within a reasonable time before the application is heard by the Magistrate. For more information on Court processes, contact the Magistrates Court of Tasmania. It is an offence for an owner to regain possession (for example, to enter the property and change the locks, or prevent the tenant from living there) unless vacant possession is delivered by: the tenant; an order of the Court; or unless the property has been abandoned. If an owner is not sure whether a tenant has abandoned the property, they can apply to the Magistrates Court for an Order of abandonment. For more information, contact the Court.